Happy Thanksgiving! I would be remiss if I didn't say how thankful I am every day to work in such a great industry with amazing co-workers, clients and vendors. I am certainly appreciative that you are reading this post today as well! 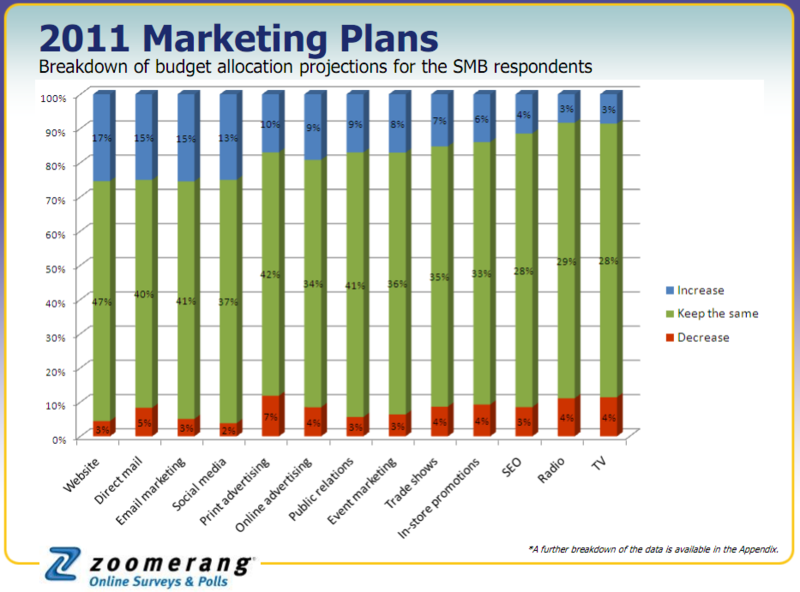 I wanted to take a moment this morning to reflect on some survey results that were recently released by Zoomerang and GrowBiz Media. 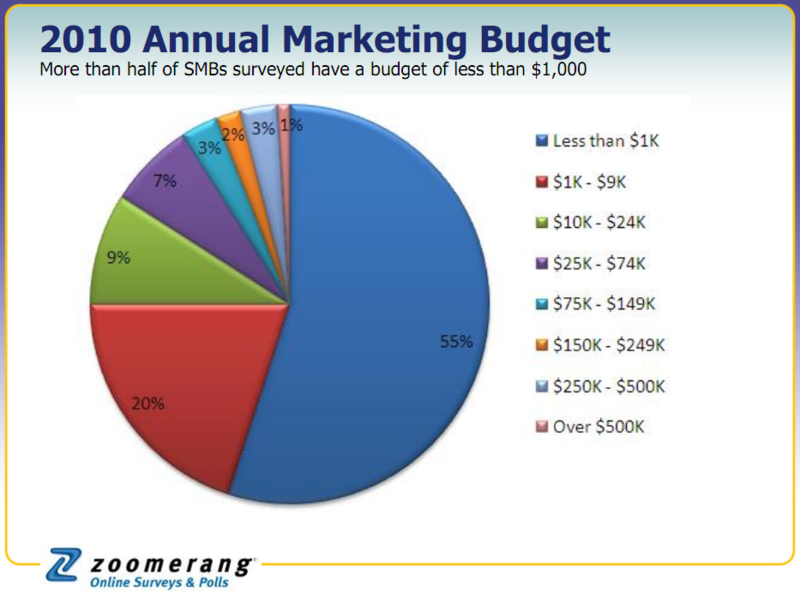 The goal of the survey was to find out how small businesses were using their 2010 marketing budgets and how they plan on investing in marketing in 2011. The survey, which was conducted the 2nd week of October, targeted over 750 small businesses with less than 1000 employees in the United States. The vast majority of the survey respondents (89%) were from businesses with 1-25 permanent full-time employees. Only 1% of respondents were from businesses with over 500 full-time employees. The primary marketing decision maker was the respondent 84% of the time with the other 16% have considerable influence on the marketing decisions. This isn't really much of a surprise given the enormous benefits associated with online marketing, but most small businesses said they plan to boost their online investments. Some of the areas of online marketing that were of emphasis were email, website development and social media marketing. Social media marketing was reported as an active marketing channel for over 1/3 of the respondents with the vast majority using Facebook (80%), LinkedIn (37%) and Twitter (27%). 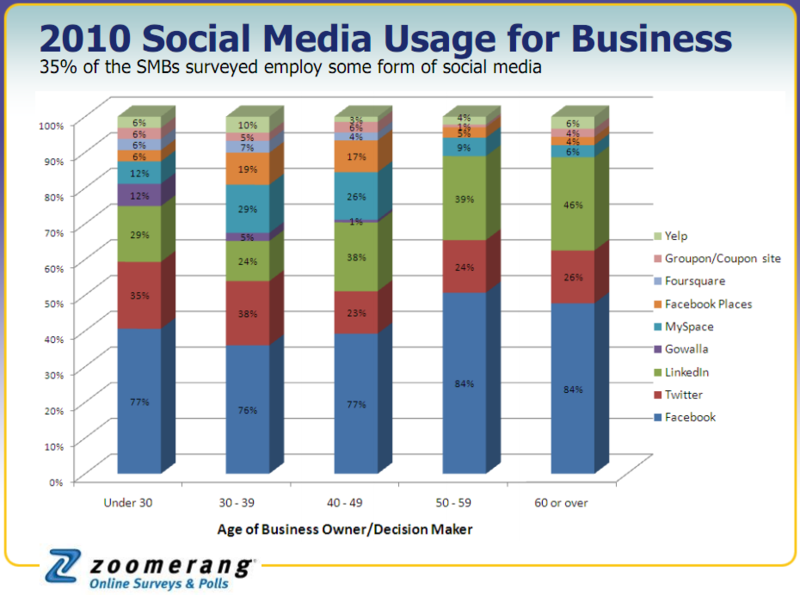 Respondents in their 20s were the highest adopters of social media marketing. This is probably not a huge surprise either. In small businesses, we see the "boss" putting the "young" guys/gals in charge of social media because they are more comfortable with it. 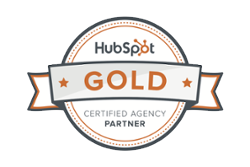 What Other Marketing Channels Are Growing? While most small businesses are beefing up their web marketing investments through email, website development and social media, many small businesses are also growing their direct mail and print advertising budgets. I think that makes sense and certainly hope that these investments are accompanied by a web campaign that helps close the loop on those traditional marketing channels. At protocol 80, we work with small businesses every day, so when I saw that over half of the respondents reported that their marketing budget is less than $1,000.00, it wasn't a huge shock. 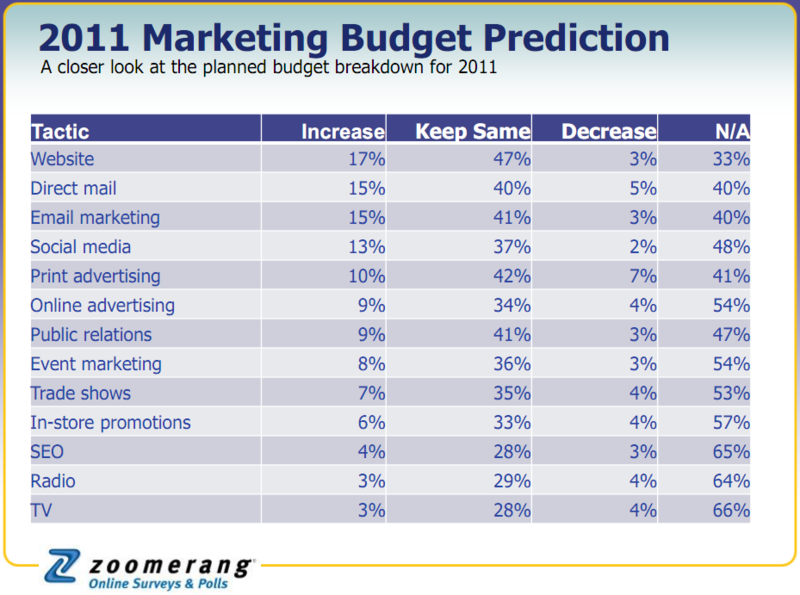 To me, that correlates back to the shift in marketing dollars towards the web channels. 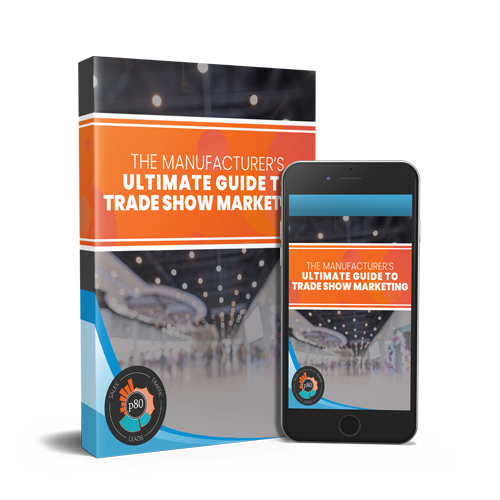 If you are low in marketing funds, you need to make it go as far as possible and be able to track it as much as possible. The web is your answer as a small business. 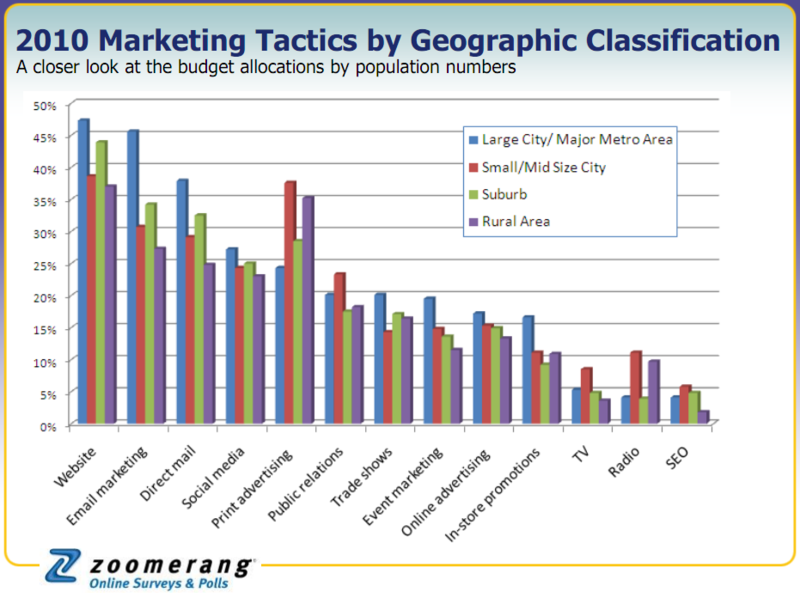 In the graph above, you can see how small businesses in rural through medium sized cities allocated their 2010 marketing budgets. Some of the data in this chart really surprised me. It shocked me to see that SEO was the lowest investment overall. SEO has one of the biggest effects on our small business clients. We have more and more clients leaving channels like radio, TV, phone book and newspaper advertising in favor of the effectiveness of the web. One of the biggest bangs for the buck they can get is through SEO. There is always a slight delay in adoption of new technology in rural/small areas so that may be why we see the spike in print advertising relative to Suburbs and Large cities in the chart. Many of the larger areas have adopted the use of location base social media or local online advertising. OMG, Who Doesn't Have A Website??? That would be 46% of the survey respondents! Yes, I almost fell over when I read that. 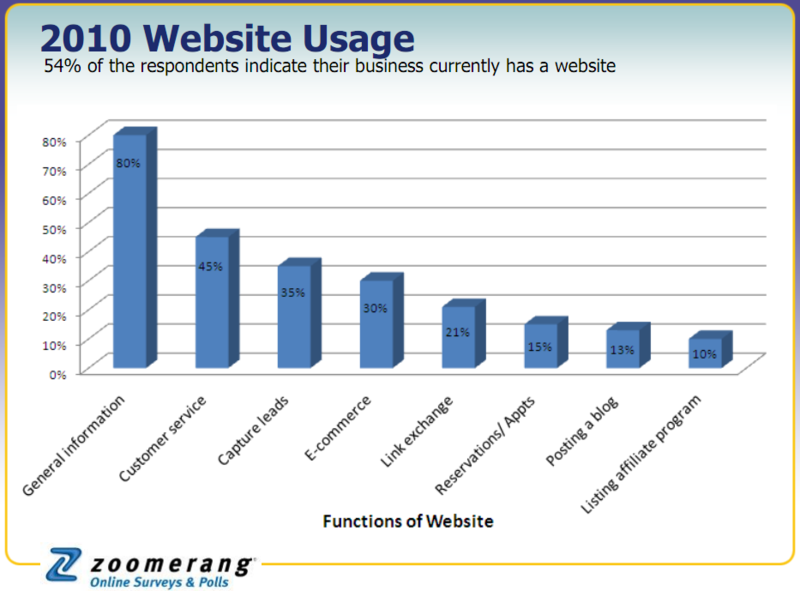 That means roughly 345 of the 750-ish small businesses surveyed STILL do not have a website. While over half did report that they had a website, the number that do not is astonishing! Be Thankful This Time Next Year! It goes without saying that we are all very thankful for our family, health and many other things on this turkey-filled day. 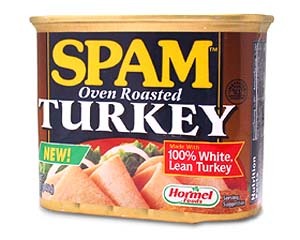 How many of you thought of how thankful you were that you invested in print/TV/radio marketing this year? The data in this survey is very telling for small businesses and where they see the biggest bang for their buck. Through a sound web marketing strategy that encompasses the various online channels such as social media, search engine optimization, email marketing and a conversion-optimized website, you just might think of your web marketing strategy this time next year when listing what you're thankful for!